NEWPORT, Ky. -- In 1873, eight years after the Civil War, Newport opened the first school for black students in Campbell County. Today, 144 years later, masters students in the Public History program at Northern Kentucky University have helped redefine the space on the first floor with displays that are the result of their research. The end result: The Newport History Museum @ The Southgate Street School, a two-story brick building that educated the city's black children until 1955. "It's a great project," said Brian Hackett, director of the Public History program at NKU. "How often as a graduate student do you get to set up the first exhibition for a museum?" 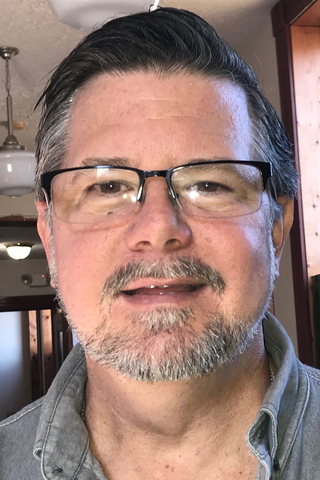 It's the city's first and only museum designed to mark the history of the school as well as the city's diverse background, said Newport historic preservation officer Scott Clark. Where else can one find a history of gambling, prostitution and a home to the Rat Pack, as well as a history of one of the largest steel factory developments and breweries in the United States? 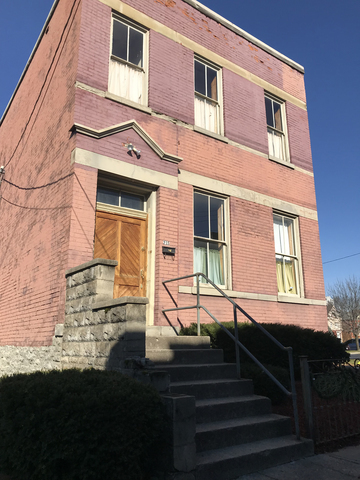 The outside of the building will be renovated by the developers of the Fourth Street School site as part of their contribution back to the community. Renovations will include restoring the original tin trim along the top of the building. Ten students worked on the project, Hackett said, researching everything from the school to gangsters, and spent time looking for artifacts from Newport that represent different periods in the city's history. 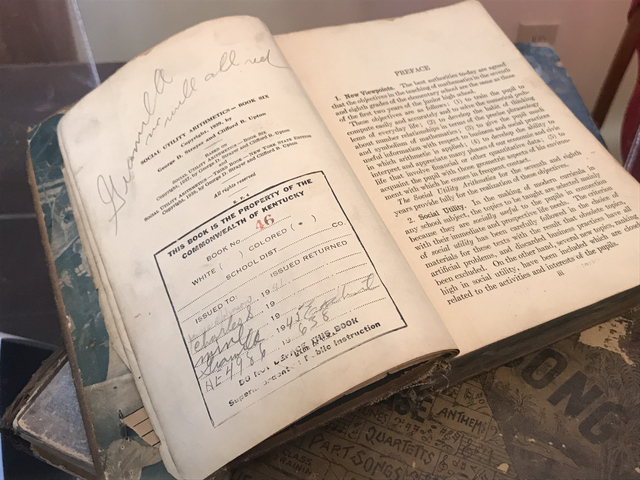 Visitors will find an original school desk rescued from the building's basement as well as a state-issued arithmetic textbook where the bookplate indicates the book is for "colored" students. Visitors to the museum can watch a hologram, also created by NKU students, of a former student talking about her sixth-grade experience there before the school closed. The museum is a pet project of Clark, who worked with the Masonic Lodge, which owns the building and whose members wanted to preserve it. The Masons still use the upstairs space. Funds to develop the museum came from a Mayerson Foundation grant to NKU's Scripps Howard Center for Civic Engagement and the East Row Historic District. The museum is under the Newport Foundation as a 501c-3, Clark said. Their only costs are maintaining the building. A book used in the Southgate Street School. A close look at the bookplate shows that the state marked it for use in a black school only. For Clark, the building is the heart of the project. It tells its own story -- closed-in windows on the interior structure where a second building was connected, worn treads on wooden stairs where students made their mark. Developers of the nearby Fourth Street School, which will be made into apartments, are tasked with restoring the outside of the Southgate Street School since they are tearing down another historic structure, said Clark. That includes replacing bricks, tuck-point and painting as well as replacing the original tin cornice across the top of the building. The original school was a one-room wood structure followed by a two-story brick building, said Clark. They can tell by the construction methods that a two-story addition was built in the back, giving the school four classrooms and a large basement space. At some point, a boys bathroom and girls bathroom was installed in the basement. In fact, a 1930s toilet remains. A stall door from the basement restroom is on display in the museum space. Eventually the basement space with its 12-foot ceilings and concrete floor will become home to the museum's gambling artifacts as they collect them. Scott Clark, Newport historic preservation officer, is the museum's director as well. Mark Neikirk, executive director for civic engagement and nonprofit capacity at the Scripps Howard Center for Civic Engagement, said project-based learning is part of the culture at NKU. Students have done various projects on Newport's west side. Multiple classes are involved with the museum. Students in a business informatics class will work on a funding model for the museum, and a public relations group is working on an advertising plan. Students will continue to be engaged with the museum, said Clark. Their expertise and experience is invaluable to its growth.